If there were ever a way to channel the rugged and romantic into a singular experience, riding a vintage bike through the English countryside might be it. For most of us, it’s a dream. For Robert Nightingale and Jonathan Cazzola, it’s a typical Tuesday afternoon. Robert Nightingale and Jonathan Cazzola are a familial pair. 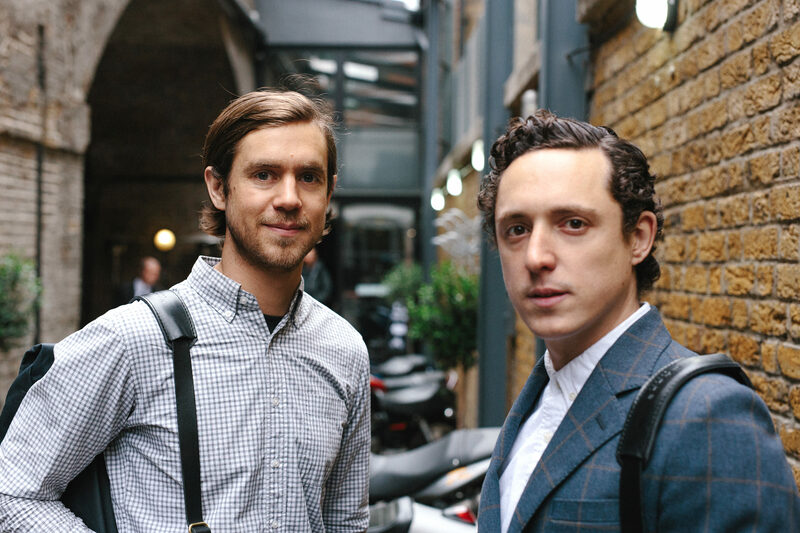 Having grown up riding bikes together on a family farm, the cousins share heritage, life experience, passion, and, as it turns out, a brand: Malle London. We meet them in the early evening on Old Street in London. 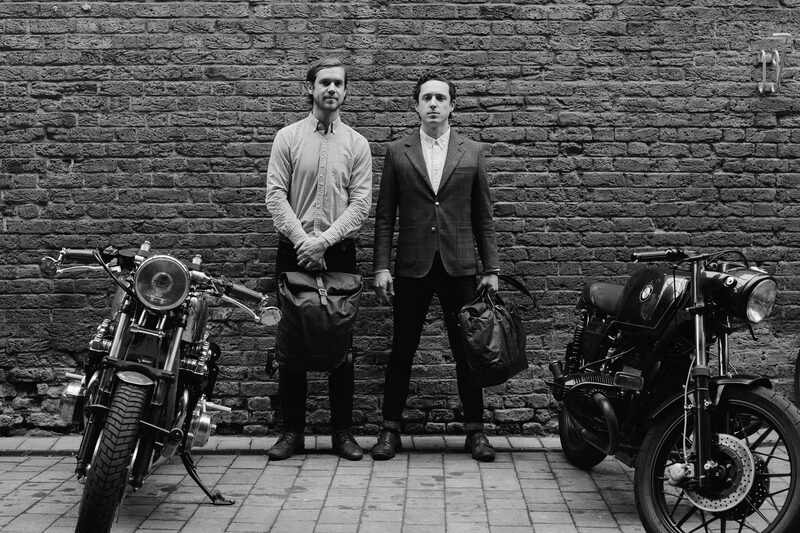 British to a tee in trim oxfords, slim dark denim, and well-worn brown shoes, the Malle co-founders invite us into “The Bike Shed”, guiding us through a maze of bikes and bags on display for a special event to which we’ve been invited. 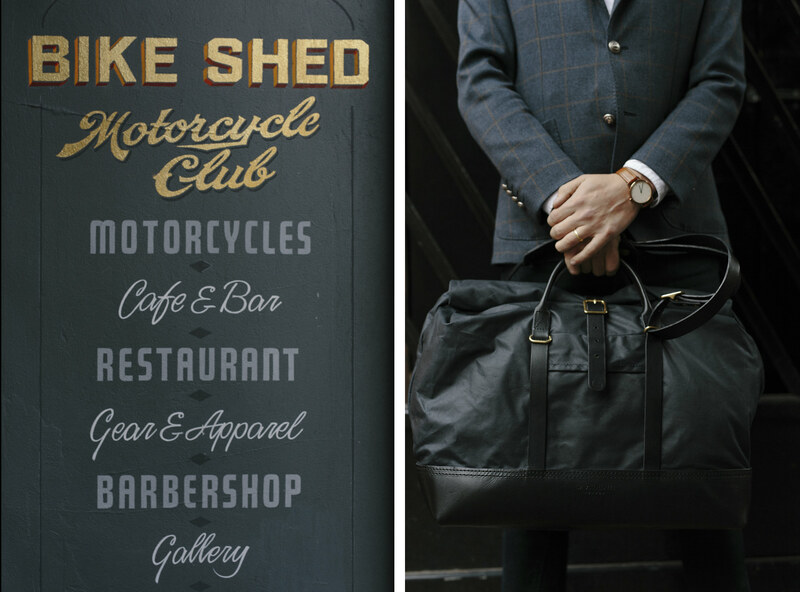 The club advertises itself as a cafe/bar/restuarant/barbershop…with motorcycles. In other words: not a bad place to spend the evening. Before hosting an hour-long session detailing their most recent motorcycle expedition (just one of many, this one winding 10,000 miles over 37 days), Robert and Jonathan hand us drinks, and we proceed to discuss (read: fawn over) their newest line of products: The Expedition Collection. Call it content marketing meets R&D, Robert and Jonathan have half a dozen of these expeditions in mind all across the globe. What will eventually be edited down into short films, Malle’s Artisan Expeditions are a series of road trips meet documentaries about the handmade world. People who make things out of natural materials. Something made locally by an individual or small team. The two cousins strap GoPro’s on their helmets, pack just enough gear to survive life on the road for several weeks (in their Malle bags, of course), and venture into the unknown with a loose itinerary. With accommodations ranging from campgrounds to fire escapes, the tales of their trip are nothing short of exhilarating. And, at times, terrifying. “At one point in our trip, there was this massive storm coming off a lake at which we had just arrived. People were pointing us toward the storm, since the helmet-mounted GoPros made people think we were storm chasers,” says Robert. When they weren’t avoiding storms, getting stalked by a mountain lion, or riding near-blind for hours through the dense smoke caused by a massive forest fire, the Malle mates were doing what they do best. Living life on the road. Meeting and interviewing long-experienced makers. And testing the products they created for surviving, and thriving, during such an extended trip. Take their newly launched line of utility rolls. 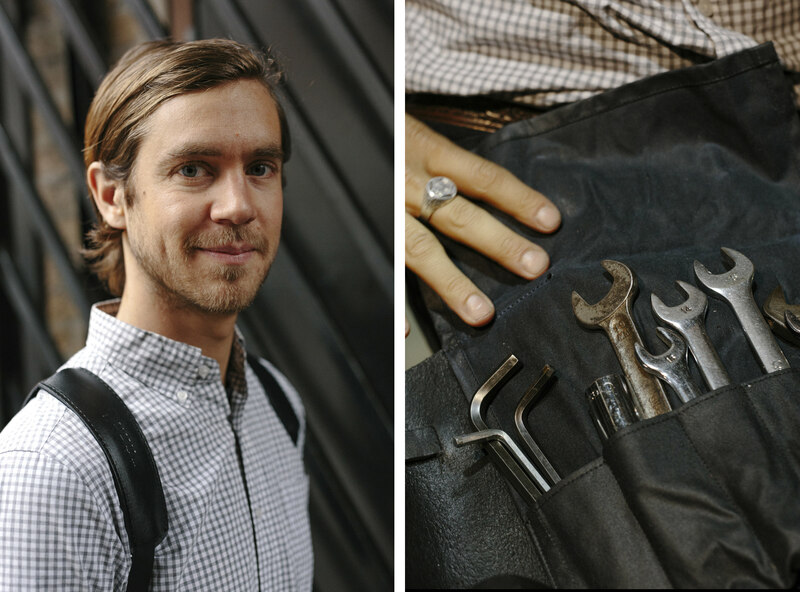 “We set about creating a new type of contemporary tool-roll designed for the automotive racer,” says Robert. 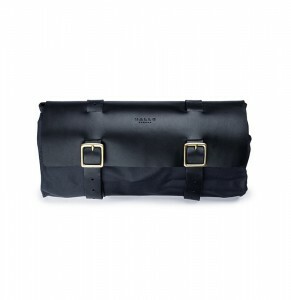 “As owner or mechanic, or just someone who needs to maintain their bike on the go, you need a tool roll which will be versatile and mount in various positions. Rugged, secure, waterproof, dirt-resistant, well-designed, and appropriate for all the necessary tools and uses. But also, we wanted to design a tool-roll which someone will still be using in 30 years time.” Practical, functional, and beautiful, the utility rolls are a necessity when spending three weeks on the road with a vintage bike. But they’re worthy of a multitude of uses, from stowing bartending gear to knives to any assortment of hardware that needs safe keeping. 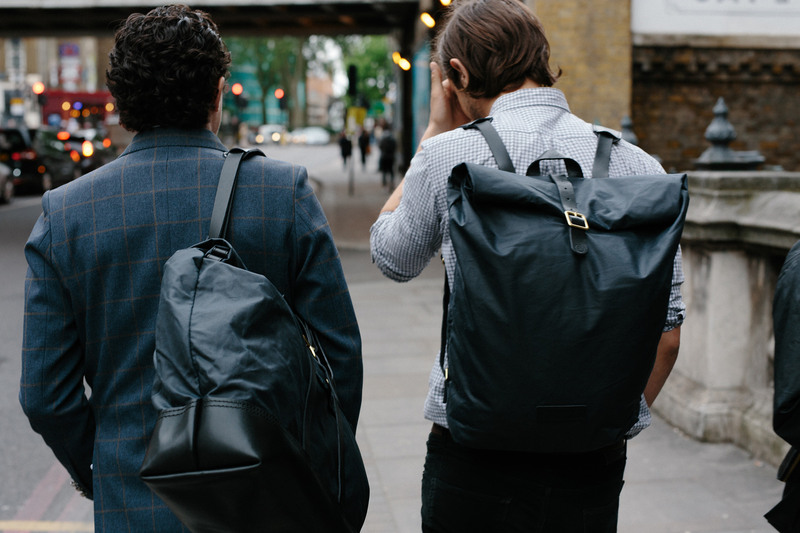 The combination of thoughtful design sensibility and British refinement — when met with the rugged requirements of surviving thousands of miles exposed the elements — is seen throughout Malle’s diverse line of products, especially in their bags. 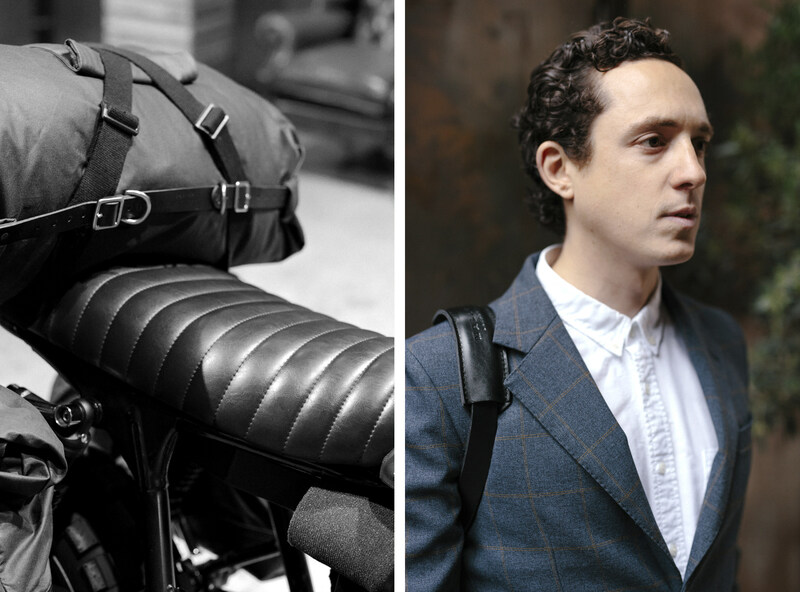 Their traditional line of panniers and backpacks are made of dense, 18oz waxed cotton from Scotland, which will serve most just fine. But for those that enjoy life in the fast lane, the Expedition Collection takes things to a whole new level. Their diligence to this long list of criterion has yielded a wide range of bags of various size made of a lighter, oiled canvas. They feature roll tops for superior weather protection and straps that break into two to attach to your bike or truck. 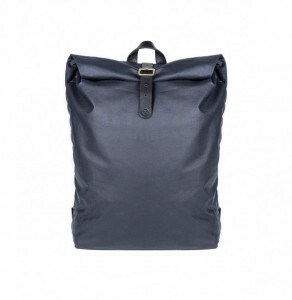 The leather is heat resistant, and every piece of hardware is made from solid-welded brass from Liverpool. 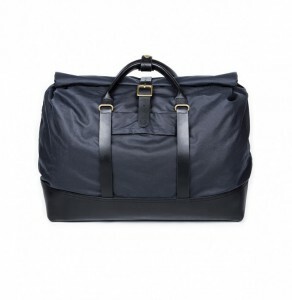 The insides are lined with organic cotton from Lancashire. 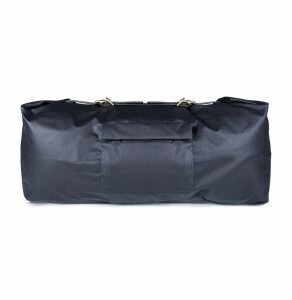 These bags are supremely sturdy. And remarkably stylish. Like the products they’ve created, Robert and Jonathan exemplify that iconically British confluence of charm and strength. Elegance and resilience. Which is what you’re getting when you invest in a Malle product. Alignment to both products, and two individuals, that work hard, play hard, and look damn great while doing it.